Art Camp for Kids at Uncle Maddio's Pizza | Louisville, Kentucky | Joe Hayden Real Estate Team - Your Real Estate Experts! Uncle Maddio's Pizza Joint is the place to be on Saturday for family days. This unique pizza parlor at 2011 Grinstead Drive in Louisville is bringing family fun back by offering a Saturday Art Camp for Kids. With art supplies provided by the pizzaria, parents can have adult fun dining on a delicious lunch from 11 a.m. until 2 p.m. while the kids enjoy learning about arts and crafts. 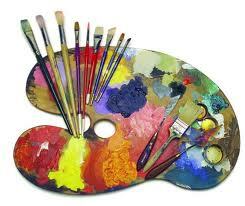 The Art Camp will offer a new type of project every week from simple crafts to face painting. Children ages 3 to 13 are encouraged to participate and have fun. Meanwhile, the parents can try out handmade pizza, a toasted panini or even a gourmet salad. Uncle Maddio's has a "build your own" pizza policy where patrons choose from 6 different sauces as compared to the standard 1 at most chains. They also host 45 different varieties of cheese, meat and fresh vegetable toppings. Much like Subway, your family chooses your toppings, the amount and watches the progression of your food as it is built for a unique type of dining experience in a pizza place. Let the kids get artistic while you all enjoy a one of a kind family environment at Uncle Maddio's Art Camp for Kids on Saturdays. To learn about other fun things to do in the area, please visit the website of JoeHaydenRealtor.com.